If you are looking for a thought provoking, well researched book on the state of US economy and the future standing of the United States, then this would be a book for you. Michael Panzner spins an interesting tale about the future conflicts and economic crashes that our society faces. 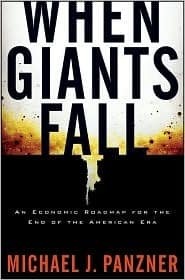 I first read this book a few years ago (2009), and thought that with all of the current social and economic unrest going on in the world it might be a good time to revisit “When Giants Fall“. The book has an overwhelming amount of references and is well thought out by the author. His basic ideas are as follows: Here are the geo-political problems as I see them, based on this here is what I believe the future holds, and here is how you can profit and plan accordingly. The parts and chapters alone give you a good idea about what this book is written. Michael Panzner touches on a lot of subjects that could be entire books by themselves, such as “Just in Time” inventory supply chain problems, falling world currencies, inflation, energy shortages, weak energy infrastructure, global warming, civil unrest, food shortages, global conflict, shifting population demographics, the US dollar as the world’s reserve currency, trade wars, strained natural resources, and much much more. Michael J. Panzner is a 25 year veteran of the global stock, bond and currency markets working for JP Morgan Chase, HSBC, Soros Funds, Dresdner Bank, and ABN AMRO. 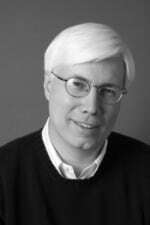 He currently runs the blog Financial Armageddon and authored a previous book by the same title, Financial Armageddon the book. If you are a strategic thinker who wants a global perspective on the issues we are facing as a society, then this would be a good book for you. Some of the many references contained in the book were a little much for my liking but I found myself going back and rereading chapters to really think over the information that the author provided. Overall I thought it was a very sober look at the issues we are facing in the next 10 to 15 years and beyond. I recommend reading it.